Since 1979 we have been pioneering scientific research and incorporating the finest natural ingredients into our products, at our worldclass research and development facility in Dublin, Ireland. The extensive knowledge there underpins one simple aim: to keep your skin looking healthy, young and beautiful. Under-eye skin is often neglected, but it is more delicate than the rest of your facial skin and needs even more attention if you are to avoid sagging, puffiness and dark rings. If your chosen cream doesn’t have a roller-ball applicator, then use your ring finger. 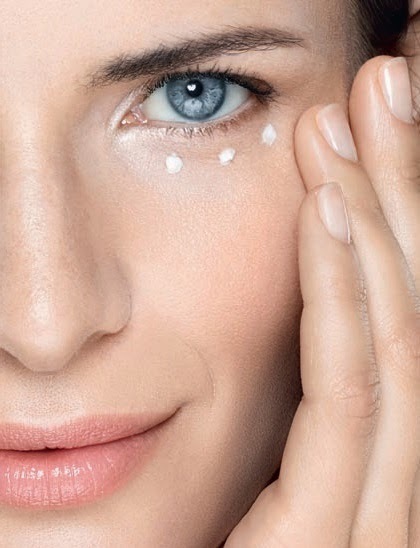 • Apply a few dots of cream under your eye. • Use your finger to dab the cream around the eye until absorbed. Try not to rub it in.